I am amazed at the similarities between gardening and raising children. We tend to the growing gardens of our children’s hearts and minds, trimming back the weeds of worldly distractions, fertilizing them with love and faith formation. 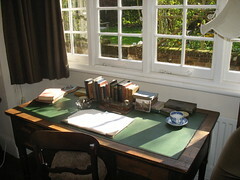 There are days of rain followed by the warming glow of sunshine. Pruning isn’t always managed by a parent’s cautious mind, but it will happen none-the-less and we are there to help the growing start again. Yesterday my husband and the kids picked cucumbers, tomatoes and carrots. They pulled all the basil, collected peppers by the dozen and rolled watermelons and cantaloupe toward the truck where Bill hoisted them into the back. Then the work began. 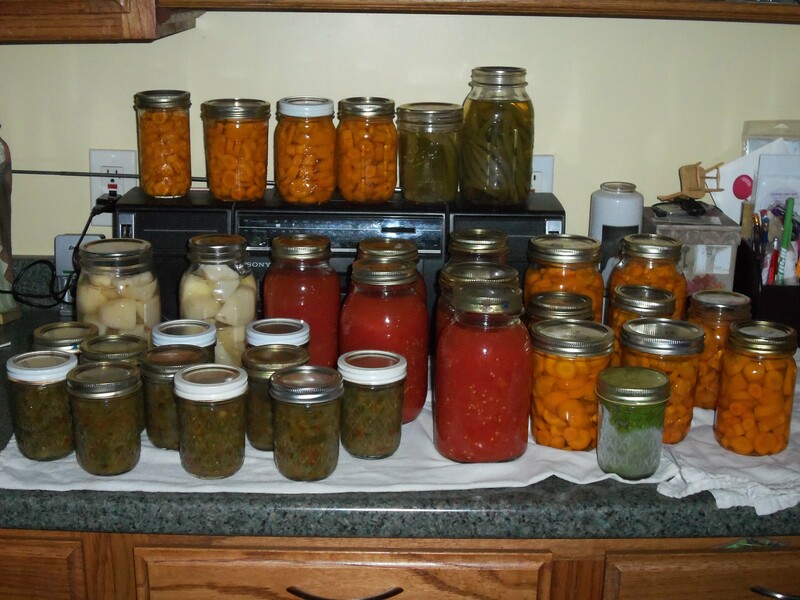 Canning: Wash, trim, snip, scrub, chop, boil. Then end product is a shelf full of colorful foods waiting for winter months and pots of soup. Months of sweat and dirt came home to hours of sweating in the kitchen. It is harvest time and we are gearing up for the long winter, preparing our cupboards for truly home-cooked meals. As I look at my pantry of canned foods, I feel satisfaction in my work and am eager to share it with my family. But what is the harvest time for our children? Even in my adulthood, in my time of independence, I still turn to the wisdom of my parents, look for their guidance, seek their help. Parents look toward the day their child becomes an adult, the day they move out, start their lives and become who they are meant to be. Reality is that it doesn’t happen in one day. I just turned forty and only now do I feel like I’m starting to become who God meant me to be. I graduated from college almost twenty years ago – had a career that directed my life – all before I came into my own. While I was independent, I still had much growing to go. Just like farming, there are layers to harvesting our independence, different seasons of fruitful outcomes. Before we even planted a seed, we tilled the ground, prepping for the future – Infancy. Once the seeds were in we watered, weeded and waited – Toddlerhood. As the vines spread and the sprouts emerged, we guided the growth on trellises and along poles. We clipped dying blossoms to keep the effort of growth on the stronger branches. Challenging us were beetles by the thousands nibbling away at leaves and weeks of drought leaving our earth parched – Adolescence. 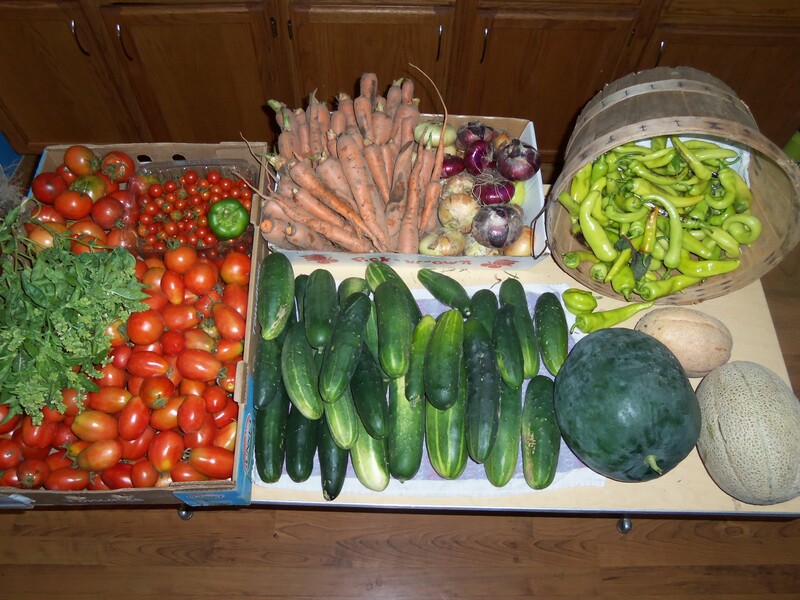 And finally, we harvested: peas and radishes, tomatoes and corn, beans and carrots, cantaloupe and watermelon, raspberries and potatoes, cucumbers and zucchini – Young Adulthood. Then the real work began. Canning. True independence. Preservation…of our souls. Adulthood. Sometimes we are well-seasoned sauses or sweetened preserves. Other moments are pickles, steeped in sharp vinegar and tasty only with the right foods. But those sour tastebuds need time to accept the flavor and even those surprising tastes lend to richness. 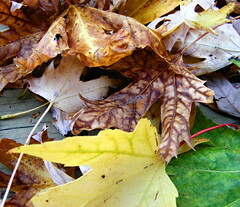 In the fall seasons of our lives, we reap what we have sown. Be it weeds or fruit, it is ours and by our making. The colors of the season are more vivid to our wise eyes if we see the world in all its fall-time glory. For the weed-sowers, the colors mean only the coming of winter, the season of death and solitude. I pray that the fall brings the joy of a season well-lived, a garden of fruitful meals made easier by a book of zucchini recipes and the hopeful anticipation of Spring – because it is sure to come.